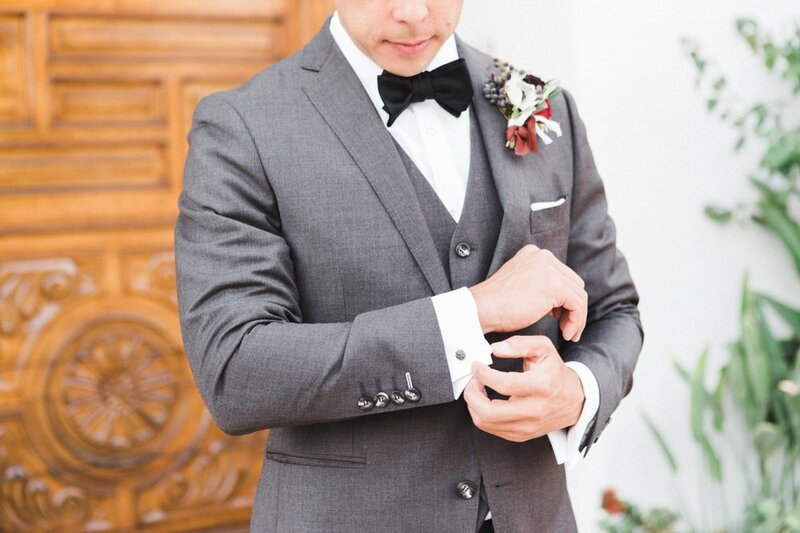 Whether this is a suit for your wedding or just for leisure, come in and let's explore the many options we have to choose from. Get inspired by the various fits and styles that are available, and learn about new trending styles. We tend to use the phrase "Experience The Grotto" quite often. This part of the process is geared exactly around that saying. At this point we should have finalized your suit ideas from your previous consultation. The next step is to rally up the groomsman. Find a day that works best for everyone to come in. The Grotto is all yours at this time. Play your music, celebrate with delicious adult beverages, get measured by our staff, and pick your suit liner. Trust us when we say picking your suit liner is the hardest decision you'll make all day! You might even want to plan on taking an Uber to some of the awesome restaurants and bars that are near by! Please allow 4-6 weeks for all suit production. Step 3. Schedule a 20-minute final pick-up. Once your garments arrive back at our store, you will receive an email letting you know it's time to come in and try them on. In this process, please bring a dress shirt and shoes with you so we can see how everything looks together! If by chance we need to make slight alterations, we will hold on to the garment and tailor the desired garment. Please allow up to 1 week for this process. All costs are covered by us.